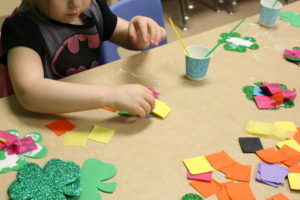 Children love to create and design. 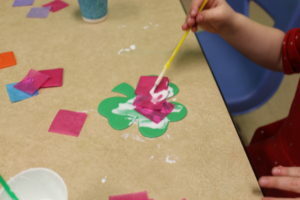 We poured glue into a cups and let the children place the glue on with a paint brush. 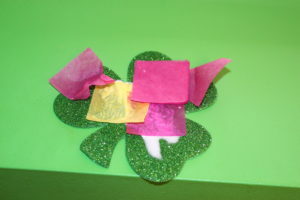 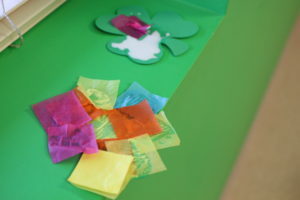 They added tissue paper to the glue and ended up with a colorful shamrock. 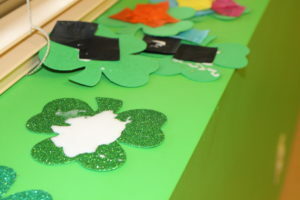 It was so fun to observe the children and the various steps used on this project. 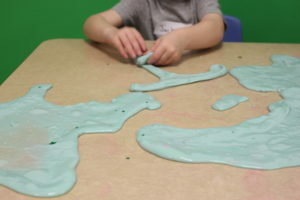 Letting them lead allowed them to feel independent (glue was everywhere) and create their own unique way! 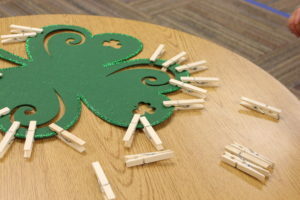 The children placed clothespins around the shamrock. 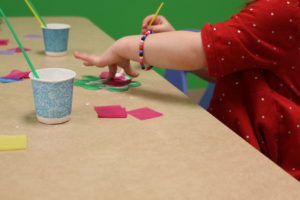 The children worked together developing social interaction skills while strengthening their small motor muscles. 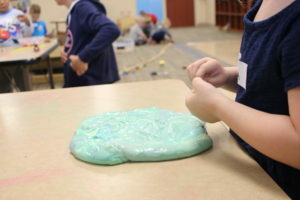 We added green stars to the slime for an additional texture! 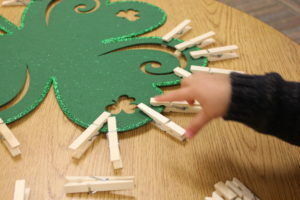 We made letters, designs, shapes and animals. 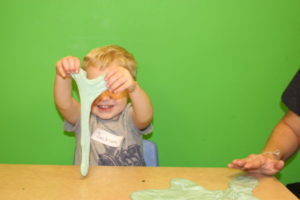 Multisensory learning allows children to advance in language and conversational skills!